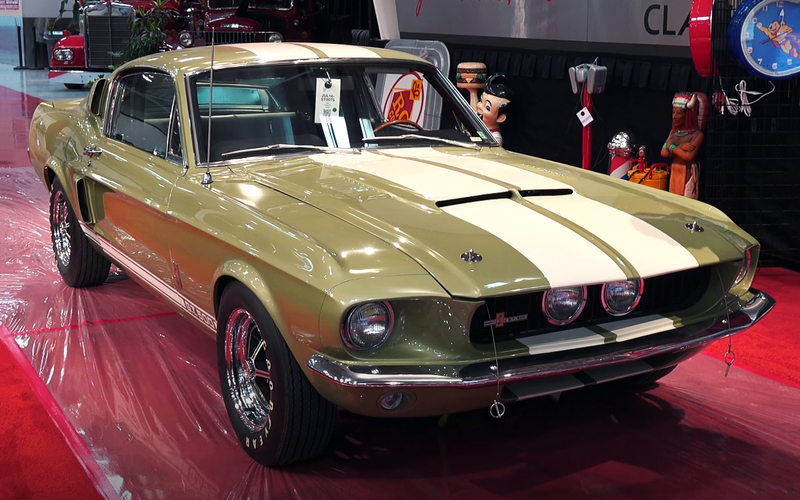 The first generation Ford Mustang, by all means, is an exceptional pony muscle car. 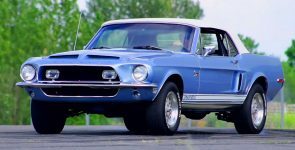 However, the 1968 Shelby GT500KR 428 Cobra Jet, came as a refinement and balance between the power and luxury of the already famous ’67 Shelby GT500. 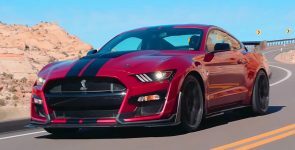 That means that GT500KR had everything that makes driving even better and comfortable. First, let’s see the interior. Inside, this Shelby is well equipped and luxuriously looking, thanks to comfortable bucket seats, wooden dashboard along with the center console. In addition, it is equipped with a power steering, power brakes, A/C unit and AM radio. However, the good things don’t stop there. 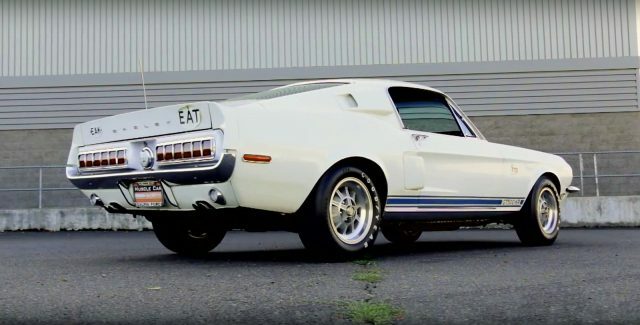 This all-original, a true survivor 1968 Shelby GT500KR 428 Cobra Jet is equally powerful as it looks. 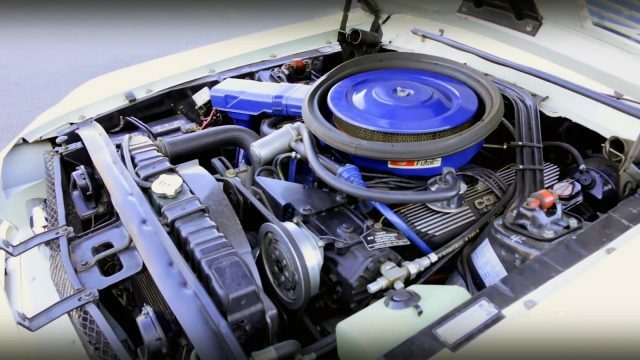 Under his fiberglass hood, it is equipped with a Ford 428 cubic-inch, 7.0-liter FE Cobra Jet big-block V8 engine. This power unit it is factory rated at 335 horsepower and 445 lb.-ft. Of torque, bolted to a C6 3-speed automatic transmission, which spins 3:50.1 rear gears. 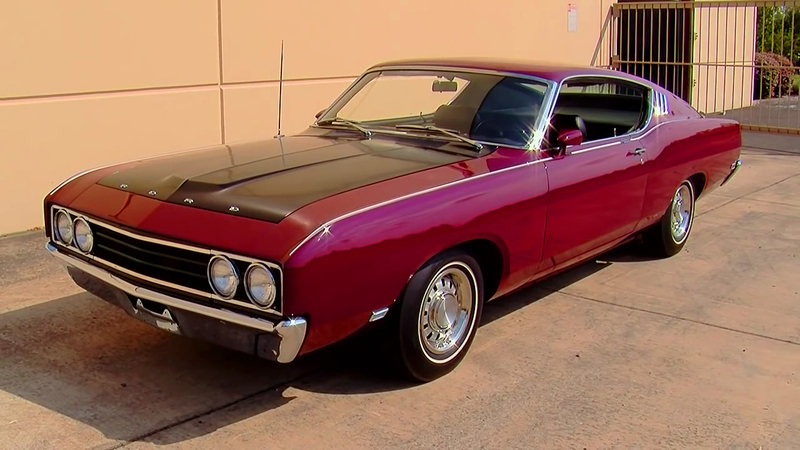 In addition, it is fitted with a beautiful 10-spoke Shelby wheels wrapped with Goodyear Blue Streak tires.